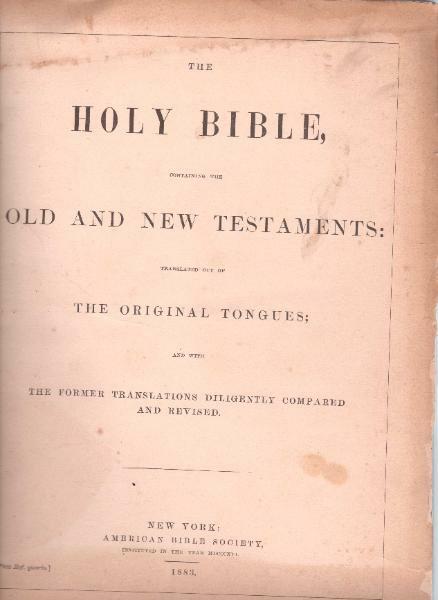 Holy Bible in English, American Bible Society, New York, 1883. 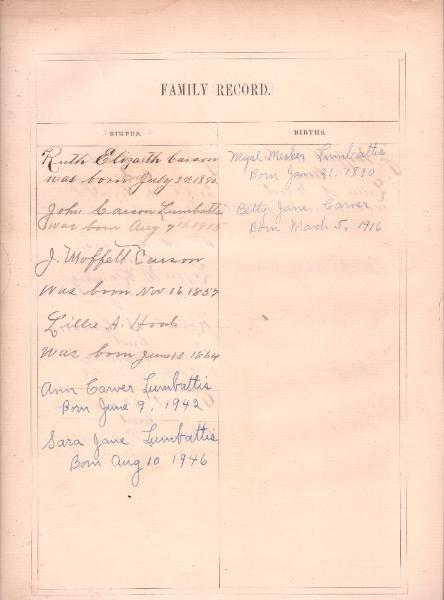 The Family Bible of J. Moffett Carson and his wife Lillie A. Hood. J. Moffett Carson and Lillie A. Hood was. Married Sep. 8th 1886. Myrl M Lumbattis and Ruth Elizabeth Carson Married April 30, 1913. John Carson Lumbattis and Betty Jane Carver Married June 1, 1940. John C. Auld and Belle M. Hood was Married Mar. 20th 1884. 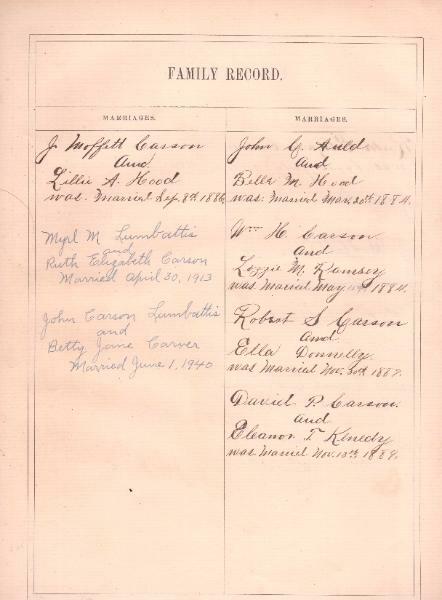 Robert S. Carson and Ella Donnelly was Married Nov. 30th 1887. 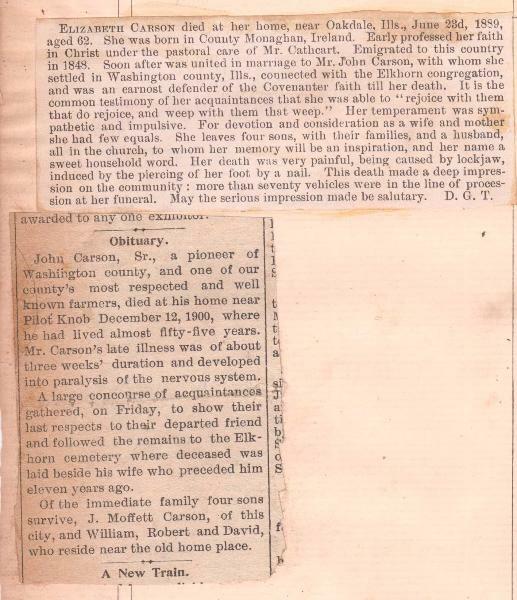 David P. Carson and Eleanor T. Kenedy was Married Nov. 13th 1889. Ruth Elizabeth Carson was born July 2th 1890. John Carson Lumbattis was born Aug 7th 1915. J. Moffett Carson was born Nov. 16 1857. Lillie A. Hood was born June 13 1864. Ann Carver Lumbattis Born June 9, 1942. Sara Jane Lumbattis Born Aug 10 1946. Myrl Merker Lumbattis Born Jan. 21. 1890. Betty Jane Carver Born March 5, 1916.
in Coumnty Monaghan, Ireland. Early professed her faith in Christ under the pastoral care of Mr.
paralysis of the nervous system. to rest beside his wife who predeceased him eleven years ago. and David, who reside near the old home place.